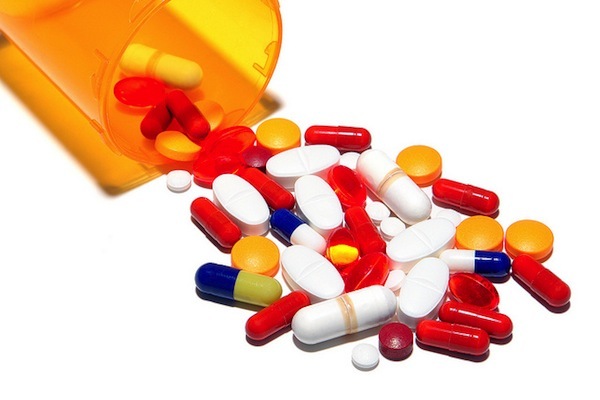 WASHINGTON, Jun 17 2013 (IPS) - The Supreme Court pushed back Monday against a longstanding practise in the U.S. pharmaceuticals industry under which large-scale companies pay producers of generic copies to hold off introducing those low-cost drugs into the marketplace. The practise, known as “reverse payments”, maintains a company’s lucrative monopoly over a drug, often resulting in significant extra income. Yet critics, including the U.S. government, have for years warned that the practise was both anti-competitive and harmful for consumers, who are forced to pay more for drugs. While the decision did not declare reverse payments to be outright illegal, as the government had hoped, it does now allow the Federal Trade Commission (FTC) to move forward with court cases against these arrangements, known colloquially as “pay to delay”. The decision also reversed previous rulings by lower courts. According to advocates of the changes, competition from generics can often lower drugs prices by up to 90 percent. The FTC, meanwhile, has estimated that agreements to push off such competition cost consumers some 3.5 billion dollars per year in the United States alone. "Reverse payments are a win-win for both the brand-name and generic companies." Beyond setting an important legal precedent, the ruling will likely have little immediate impact outside of the United States, as the patents in question likely do not extend overseas. Brand-name drugs comprised just 18 percent of all U.S. prescriptions written in 2011, according to statistics from IMS Health, a research company. Yet they accounted for almost three quarters of revenue for the industry, worth some 320 billion dollars a year. “The incentives to engage in research and development are already out there without these kinds of agreements,” Scott Nelson, an attorney with Public Citizen, a public interest watchdog, told IPS. The Supreme Court decision revolves around 1984 federal legislation, known as the Hatch-Waxman Act, that was meant specifically to push generic drugs onto the market more quickly. As Nelson noted, this law offers incentives for the development of new drugs such as decades-long patents. But it also allowed generics manufacturers to challenge these patents for a variety of reasons. According to a study by the FTC, until the early 2000s, the generics companies prevailed in these challenges almost three quarters of the time. Yet reverse payments arrangements offered a lucrative loophole in this process. “Today, the court echoed what I, along with many other members of Congress, have repeatedly said: the over-arching goal of Waxman-Hatch is to foster competition in the pharmaceutical industry,” Henry Waxman, a member of the House of Representatives and co-author on the 1984 bill, said Thursday. Increasingly over the past decade, brand-name drugs manufacturers have moved to counter-sue generics companies following the filing of a challenge. Typically the companies would allege patent infringement and threaten a lengthy and costly court fight. Thereafter, the two companies would arrive at a large cash settlement – the reverse payment – along with an agreement that the generics manufacturer would not introduce any related product into the marketplace for a set period of time. The case before the court involved a type of synthetic testosterone, called AndroGel, used by cancer sufferers and others. The brand-name version of this drug cost around 379 dollars for a month’s supply. While the introduction of a generic version could have knocked that price down to around 40 dollars, a deal between AndroGel’s manufacturer and a number of generics companies pushed off the introduction of a low-cost AndroGel until August 2015. “These reverse payments are a win-win for both the brand-name and generic companies, as the latter essentially gets a share of the profits but the brand name gets to hold onto its monopoly for longer than,” Laura Etherton, a health policy analyst with U.S. PIRG, a consumer rights advocacy group, told IPS. According to information provided by U.S. PIRG, such deals have delayed the introduction of generic drugs meant to fight AIDS, cancer and high blood pressure, among other diseases. Still, for advocates like Etherton, Monday’s decision did not go far enough. “We are disappointed the court didn’t take the next step and outright outlaw this anti-competitive practice,” she said. Two pieces of legislation are currently pending in the U.S. Senate that would crack down further on reverse payments. One would seek to reduce the incentive for generic companies to enter into “pay for delay” agreements, by allowing a second generic company to circumvent such an arrangement and bring the drug to market. A second proposal would outlaw such payments entirely. Federal auditors estimate that such a move would save the government some 11 billion dollars over a decade, in addition to consumer costs.